1. Drake’s Club Paradise Tour of 2012. The second tour for the Canadian star, Drake’s Club Paradise Tour went on a 65 show run that appealed to the masses. A great show that provided opening acts such as Kendrick Lamar and A$AP Rocky. This tour was so successful that it grossed $42 million over the duration of the tour. Selling out in seconds in several cities, many shows were added to the lineup. 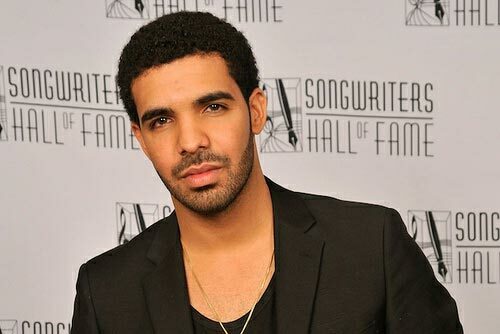 To learn more about this great show, visit http://www.razorgator.com/blog/2011/12/29/drakes-club-paradise-tour-in-2012/. 2. Bruce Springsteen and the E Street Band. The Boss is always known for putting on a spectacular show and his concerts in 2014 did not disappoint. In fact, some of his concerts went much longer than a couple of hours because he was having such a great time playing the music that he loves and performing for an adoring crowd. 3. Madonna. Known for putting on a great show, Madonna always wow’s her fans with great music, talented dance routines, and intense choreography. In 2012, Madonna was particularly stoked about the Obama election and put on a special show for her adoring fans in Detroit, Michigan. 5. Justin Timberlake. While Justin was great when he was part of N’Sync, he is certainly an outstanding performer on his own. Justin’s tours sell out promptly and while adding more shows is a way to remedy this, they always sell out too. If you are lucky enough to get your hands on his concert tickets, you are in for a rare treat! 6. Lady Gaga. Quite eclectic in her performance style, Lady Gaga knows how to put on a show that will leave you in speculation. For the choreography of her show to some of her outfits, you will enjoy the great music, but may be left scratching your head as to what the concert was trying to portray through various artistic measures. 7. The Rolling Stones. The Stones are a classic band and while they are all of senior citizen age, they can still rock like no other. Their tours have been happening for years and each show is sold out. If you want to get an opportunity to see this great band before it is too late, you should try to be the first in line to get tickets! The Rolling Stones are classic! 8. Kenny Chesney and Tim McGraw. Both country crooners are known for putting on a memorable show and the two together are absolute dynamite. If you have an opportunity to see either one of these guys or the two of them together, you should jump at it because you will not be disappointed. 9. Jay Z. A great performer and rapper, Jay Z is known to put on a great show, especially if you are seeing him in New York. Be on the lookout for periodic appearances of his wife, Beyonce!